Q. Does Visiting Angels Punta Gorda have caregivers for elder care services? A: At Visiting Angels Punta Gorda, FL we provide our clients caregivers who can offer a wide variety of elder care services. The caregivers we provide can help your loved one live safely at home while assisting with activities of daily living including housekeeping, meal preparation, fluid reminders, medication reminders, and more. Q: What is "aging in place"? A: Aging in place is a common term used to describe the desire many seniors have to continue living at home for as long as possible. Aging in place is the opposite of moving a loved one to a nursing home or assisted living facility. Visiting Angels Punta Gorda, FL provides elder care services professionals who can provide the assistance and care many seniors need to continue living independently. Q: Do you have caregivers who can provide elder care services in assisted living facilities? A: Yes. Some of our clients find that the care provided in an assisted living facility doesn’t meet all their needs. If your loved one is struggling to remain independent in an assisted living facility, we can provide a caregiver in the Punta Gorda, FL area who can help. Q: How quickly can elder care services be provided? A: Visiting Angels Punta Gorda, FL can typically provide elder care services within 48-hours. 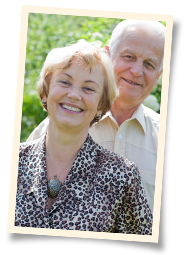 When needed, we can provide same day elder care services. Q: What areas does Visiting Angels Punta Gorda serve? A: Visiting Angels Punta Gorda, FL is proud to provide elder care services to families in Sanibel, FL, Punta Gorda, FL, Captiva, FL, Boca Grande, FL, Arcadia, FL, North Fort Myers, FL, Cape Coral, FL,and in other communities in the Punta Gorda, FL area. Q: How do I get an elder care services from Visiting Angels Punta Gorda? A: Simply call our Punta Gorda, FL office to start the elder care services process. A member of our team will come to your home and conduct a free, no obligation assessment. We can provide you to a caregiver who has the skills and personality to provide your loved one with excellent care.